The gas mileage is wonderful. My vehicle handles great and my Audi gets great gas mileage. The air conditioning and the heater both excel my expectations. The noise I reduction is top of the line, and with the power and performance of overall road conditions and control on the highway, I could not ask for a better car. My family and I love the way it performs the design is sporty and at the same time sleek. Thanks Audi for making a great car. The interior also comfortable and. Easy to clean. Reliable updated and new Audi. It is okay but I do not drive it much. It has all the functions and equipment of a new car. Performance is great, really reliable and comfortable. Has all the updated features and GPS system. It comes with great insurance plan but the issue is with the oil change. There's minor issues here and there and issues with having service for it is costly. The performance is next to none. The drive system is filled with power. My vehicle is very reliable, and the performance is pretty good. I never did have any issue with it at all. The down side I must say is cost of service, but aside from that is one of the best car I have ever owned. Is always a joy to drive regardless of weather condition. Is a simple word, this is a car I would recommend to anyone to buy. 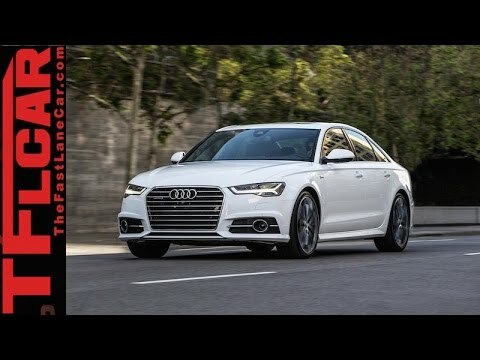 2016 Audi A6 Review: Fuel Efficient, Fun &amp; Fast?